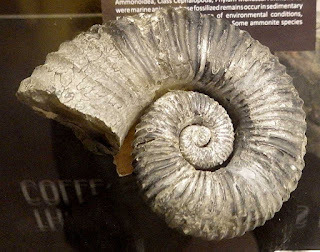 This fossil is Hoplocrioceras phillipi (Bean) found in Columbia. This ammonite dates to Lower Cretaceous Period. It is on display at Indiana University Department of Geology in Bloomington Indiana, USA. Thanks to Kenny for image.